Click here for booking, costs and all workshop details. For two decades Franco Santoro has introduced to thousands of people, at the Findhorn Foundation in Scotland and worldwide, Astroshamanic Dance, a revolutionary system to expand human perception, integrating shamanism, astrology and dance. Following a six-month period of spiritual retreat, guidance and feedback showed him that his system worked and people wanted more. In this workshop, Franco invites you to join him on an a deeply empowering and healing journey through dance, movement and stillness. First time participants and long time fans are bound to be energised and inspired on this renewed astroshamanic dance experience through the zodiac. During the workshop we delve into trance dance and drumming according to astrological and natural cycles, creating sacred space, establishing connections with spirit powers, directing and redeploying energies and using them to support major transformational processes. The workshop is designed for newcomers as well as for those who wish to consolidate previous experiences with astroshamanic trance dance. Completion of the week provides a solid basis for more advanced work. It is also aimed to allow participants to continue their work autonomously with gained clarity and sense of purpose. Click here for booking, costs and all workshop details. In this workshop dance and sound are used as transformational tools to open the pathway to expanded states of consciousness and a profound awareness of yourself and your environment. During the week-end you will employ movement to manifest intentions aligned with your true self, learning to pass through stagnant energies and fears, redirecting them to support your highest potentials and stepping into the healing flow that allows you to reshape the world within which you live. The programme includes practices aimed at accessing and grounding your natural gifts and spirit helpers, releasing impediments and removing draining blocks, identifying and exploring the basic patterns of your energy system and its connection with the web of life. The week-end takes place during the Full Moon in Virgo, and includes the celebration of a cleansing Astroshamanic Healing Ritual aligned with the seasonal cycle of the year. Astroshamanic Dance is a holistic system of healing based on rhythm and movement, the result of the integration of dance, music, energy work, shamanism and astrology. Its aim is acknowledging, retrieving and integrating the lost pieces of our soul as represented by the twelve zodiac signs. Each sign has its own vibratory frequency and through dance we can align to its modalities of expression and incorporate them in our awareness. With astroshamanic dance we open to profound archetypal forces connected with stars, planets, animals, plants, minerals, spirits and whatever exists around and within us. By physically dancing and playing these forces, we reactivate the memory of our ancient communion with them, embracing their rhythm and experiencing their healing energies. For ages shamans have used dance to reach expanded states of consciousness, connect with ecstatic dimensions, retrieve lost parts, communicate with spirits and bring healing on a planetary and individual level. From the astroshamanic perspective all life is a dance and since there are several aspects of life there are also many varieties of dance. There is a dance for each zodiac sign, and there is also a dance for each combination of signs, including triads and larger groupings, making patterns of dance virtually infinite. Astroshamanic dance also works as a superb practice for releasing blocks and grievances, which can be identified by the patterns of astrological aspects and transits. The dancers let go of emotions, feelings and thoughts through physical movement, releasing whatever they experience in that particular moment (excitement, vitality, pain, weakness, restlessness, sexual energy, craziness, etc.) until they reach a space of inner void and stillness. This is the sole environment that allows them to truly receive. Having relinquished what is in excess, dancers are ready to receive vital gifts for healing and transformation. Various sounds and different types of music can be employed to accompany trance dance. Monotonous sounds (drumming, rattling, waves, etc.) are ideal as they do not influence, or interfere with, the experience of the dancer. Dance can also take place with no external sound at all. In this case dancers can listen to their own internal music or use their bodies as musical instruments (stamping the feet, clapping, breathing out and in, etc.). Rhythmic or melodic sounds are very helpful when, on the contrary, the intent is to evoke or attract specific energies or experiences, and orchestrate a larger variety of frequencies derived from the archetypal forces of the zodiac signs and planets. 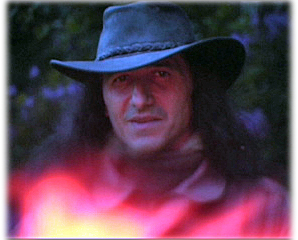 Franco Santoro: Astroshamanic practitioner, holistic counsellor, experiential astrologer, the developer of astroshamanism and a large variety of tools for inner growth and transformation, resident member of the Education Faculty of the Findhorn Foundation from 1999 to 2013. Since 1976 Franco has worked with more than ten thousand people from all walks of life and countries, offering regular support in their search for direction, life purpose, healing and peace. He is the author of Astroshamanism: A Journey Into the Inner Universe; Astroshamanism: The Voyage Through the Zodiac; Iniziazione all'astrosciamanesimo, a series of sound healing and Astroshamanic CDs, more than 1000 articles published online on a large variety of blogs and websites. Contact Franco at franco@astroshamanism.org. Click here for costs and all workshop details.